Discover a world of magic and wonder on one of Tour America’s Magic Holidays. 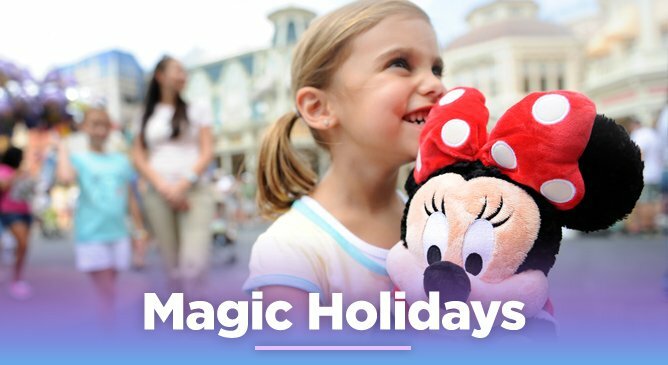 Magic Holidays is all about making your Disney dreams come true and our team of Disney travel experts are here to help you plan a Disney holiday like no other. From incredible theme parks to luxurious Disney cruises, we have an amazing selection of Disney holidays for you to explore & choose from. Walt Disney World Resort in Florida is where magic comes to life. 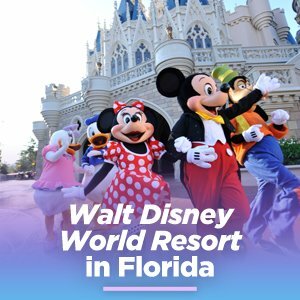 With six incredible theme parks, a fantastic entertainment district and over 20 themed resort hotels, Walt Disney World Resort is the perfect destination for any Disney fan or family. Located in Orlando Florida, Walt Disney World gives you the opportunity to step into the fairytails with character meet and greets, stunning shows, magical parades and countless rides and attractions. Take your little ones on a holiday they will cherish forever on one of Disney Cruise Line’s fantastic cruise holidays. From start to finish, your Disney cruise will feature Disney’s signature service, incredible attention to detail and a magical touch that no other holiday can offer. 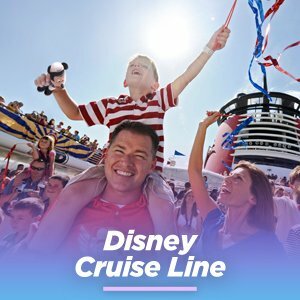 On board Disney’s incredible ships, there is something for everyone from exciting kids clubs to relaxing areas for the adults. If you’re planning a holiday to Walt Disney World Resort in Florida we highly recommend pre-purchasing your Disney park tickets as this offers much better value for you. Tour America have many special rates on Disney Park tickets depending on your length of stay and each of our Park Tickets come with the complimentary Memory Maker service.